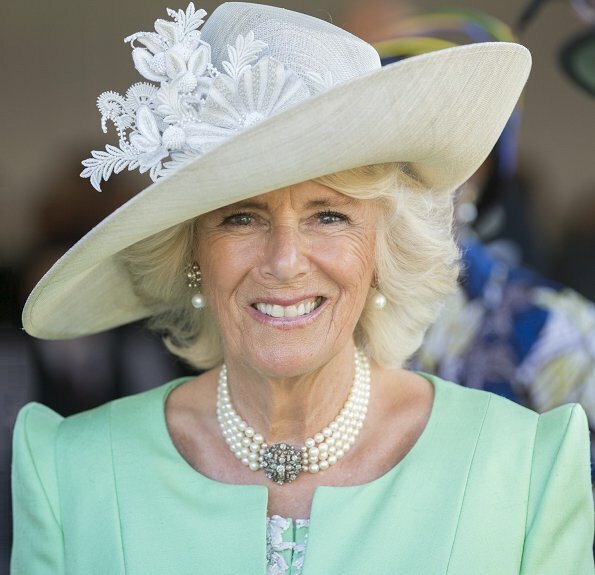 Camilla, the Duchess of Cornwall is celebrating her 71st birthday today. (Duchess of Cornwall, (born; 17 July 1947) is a member of the British royal family. She is the second wife of Charles, Prince of Wales, heir apparent to the British throne). The Duchess will be spending her birthday visiting St Mary’s, the largest island on the Isles of Scilly, to open the newly improved quayside. Happy Birthday The Duchess of Cornwall. Ik mag volgens de "expert" weinig weten van menselijke verhoudingen en evenmin van mode. Ik weet wel dat dit klasse is! She looks wonderful, I like her! Wishing a fantastic day and a fantastic year to come. A very happy 71st Birthday Dss of Cornwall. If alone or with husband she always have a good time,at any event she attends.Very nice outfit also love the hat and necklace. Wow, I love the shoulders on this outfit. She looks great in this photo. I love her clothes and I think she has had her teeth fixed, which probably makes her feel more confident.